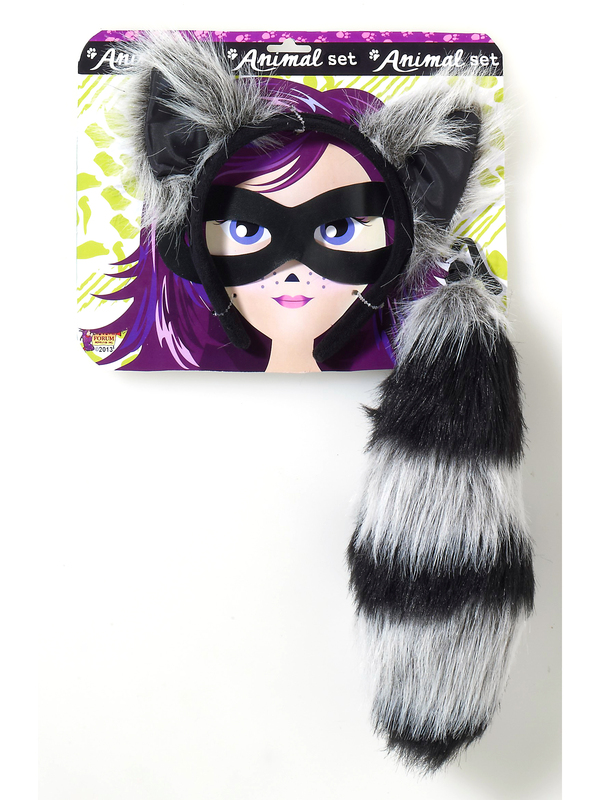 All you need this Halloween is our Raccoon Kit to convincingly transform yourself into a wild raccoon! Our Raccoon Kit comes with a full, fuzzy raccoon tail, headband with cuddly ears and eye mask you’ll simply love to wear this Halloween! Go ahead, be on the prowl on Halloween night. You may just get into some fun and mischief as raccoons usually do! Shop our online store for a wide range of animal disguises for Halloween. Buy now for fast shipping!